May is National Bike Month…and in Provo we celebrate in style. 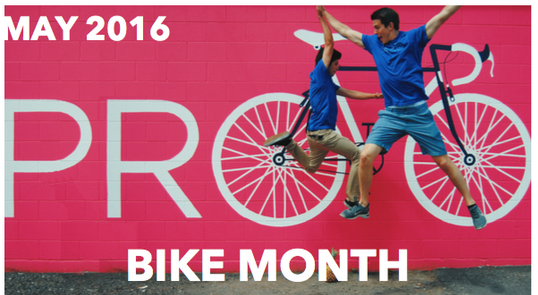 Take a look at what is happening during our celebration of Bike Month 2016 and join us for some incredible events. Remember to come back and click on the “Bike Month” tab above or share the URL www.bikeprovo.org/bikemonth with your friends and family. 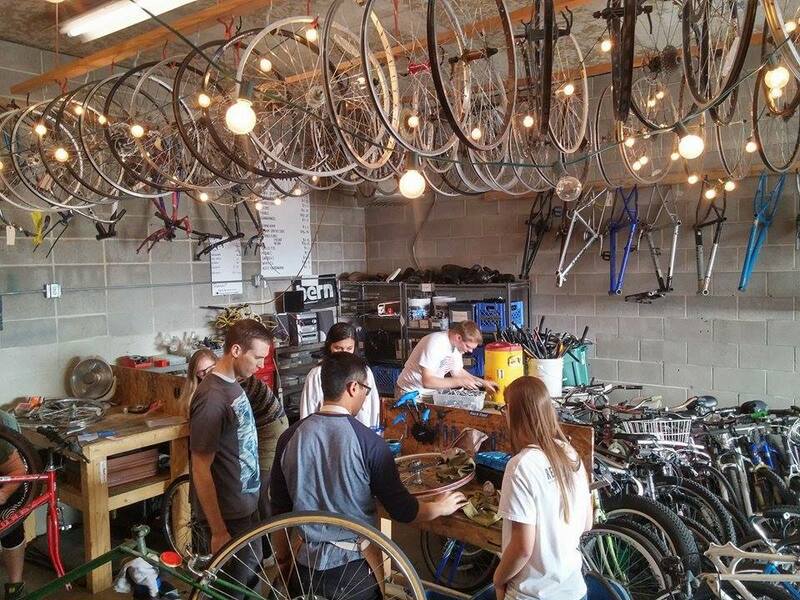 The Provo Bicycle Collective is aiming to teach bicycle mechanics and maintenance to as many people in our County as possible. Their efforts have expanded in the last year and now include three main education programs. 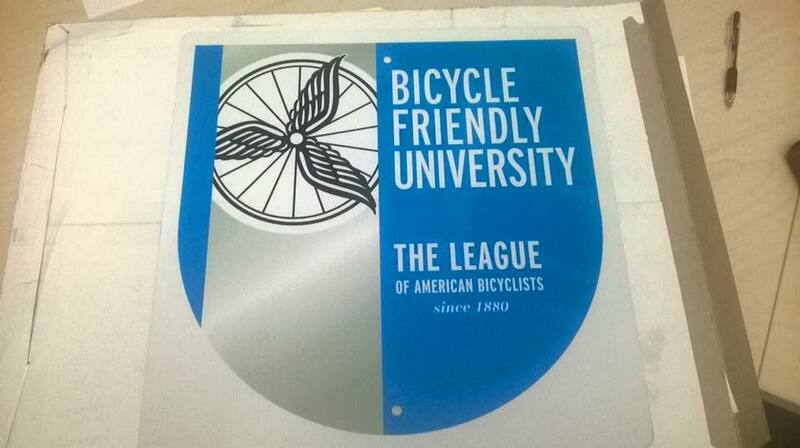 Bicycle Mechanics 101 is an ongoing class on Tuesday nights at 7PM. Each class lasts 30 minutes and consists of a lecture and demonstration on a specific maintenance skill. Those attending are welcome to stay after to work on their bike or volunteer at the shop. Earn-A-Bike is bike mechanics course offered for free to anyone ages 6-18. The classes are once a week for 10 weeks. Participants learn self-sufficiency skills including how to change a tire, to adjusting brakes, to taking apart a hub. Adam Khalilullah teaches 10-15 students each week and says, “I get to come here and work with kids after going to [BYU] all day. It’s the best part of my week.” Those who graduate, earn their own bike to take home with them and have skills they’ll keep forever. Learn more about the Provo Bicycle Collective by following their Facebook page here. 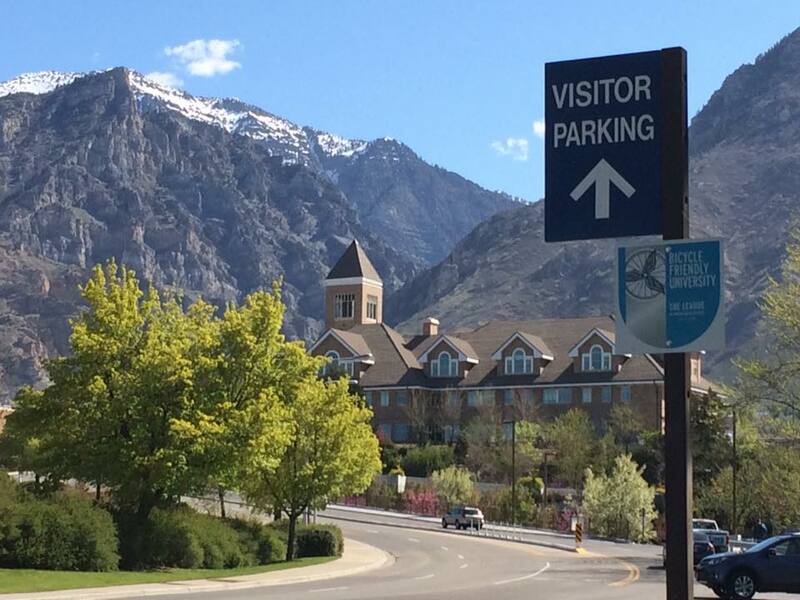 The prominent placement of this sign that I noticed for the first time on my daily ride to work, noting BYU’s designation by the League of American Bicyclists as a Bicycle-Friendly University, on the main entrance road into campus speaks volumes to the university’s increased valuation of bicycling as well as walking (this road no longer serves as a thoroughfare through what is a now much more pedestrian friendly campus) and transit (evidenced by an expanded shuttle system and the administration’s clear support for a robust mass transit system around BYU). Yes, BYU can do more but it is headed in the right direction thanks strong, forward-thinking leadership and members of the campus community who are concerned about campus and the wider community and the air we all breath. Let’s celebrate these developments and bike, walk, and make sure we create the best transit system possible with the Provo-Orem Transportation Improvement Project.